HomePark InformationNoticesOnline pre-booking parking service is available. Guests may reserve parking spaces for coming 90 days. Reservations have to be made at least one day prior to the visit. For the convenience of guests who plan to drive to the Park, Ocean Park has launched an online parking space reservation service. Guests may visit our website to check the booking status of the parking space and reserve parking spaces for coming 90 days. Reservations have to be made at least one day prior to the visit. The parking space reservation procedure is simple and easy. Guests may select the date of visit on our website and pay a HK$50 deposit online. The parking fees shall be settled when your vehicle exits the car park on the date of visit. In line with the opening of Hong Kong Ocean Park Marriott Hotel and with reference to the invaluable feedback from visitors, Ocean Park is pleased to introduce a new parking fee scheme to offer guests added flexibility and convenience. *There will be no peak days in March and April 2019. The other peak days will be announced on Ocean Park website later. You can reserve car park spaces for the next 90 days. Reservations shall be made at least one day prior to the date of visit. A maximum of two car park spaces can be reserved per transaction per credit card. To safeguard your interest, verified by Visa and MasterCard®SecureCodeTM is available if you have registered with your payment card issuing bank for this service. A notification email will be sent to you acknowledging confirmation of your reservation. Upon successful payment, please print out the Car Park Ticket immediately. Please present the QR code on Car Park Ticket while you enter the car park. The parking fees shall be settled when your vehicle exits the car park. Altered or defaced Car Park Tickets will not be accepted. A condition of entry to Ocean Park car park is to comply with Ocean Park Bylaw and safety rules which are available at the entrances to Ocean Park. The Ocean Park Corporation does not accept any responsibility for the loss of or damage to any vehicle or article or thing in or upon any vehicle or for any injury to any person. No vehicle will be allowed to stay in the car park beyond opening hours. The ticket is valid for one entry and on the reserved date only. The ticket is non-refundable and non-exchangeable. 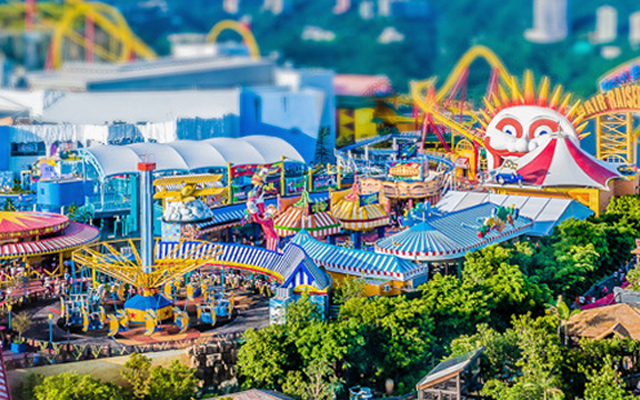 If you have any enquiries, please contact us at (852) 3923 2323 or send email to gr@oceanpark.com.hk. Ocean Park reserves the right to change the terms and conditions without prior notice.